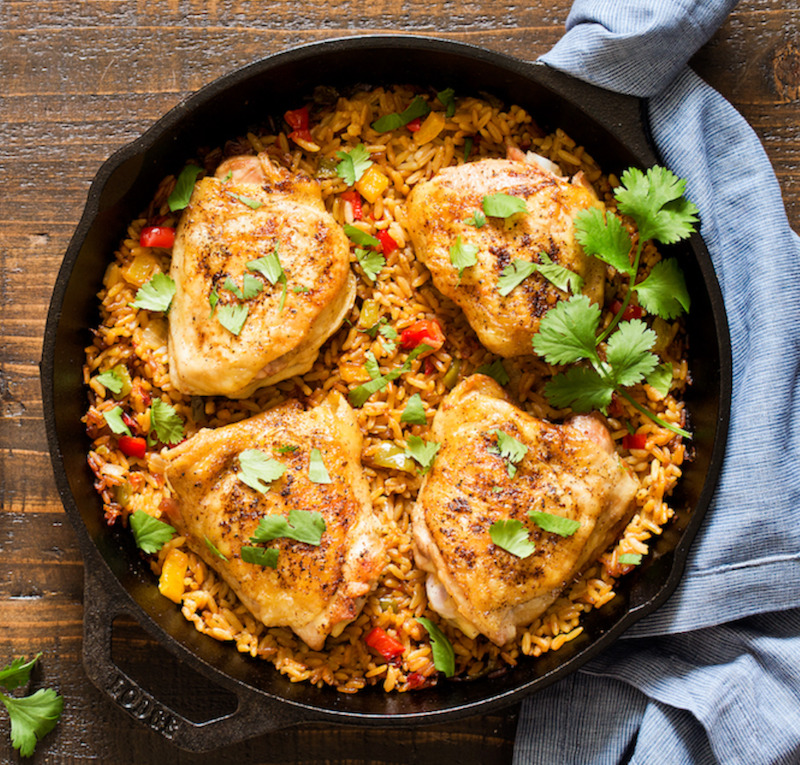 Add a kick to your dinner routine with this Mexican-inspired dish in a single skillet. This delicious savory recipe was developed by Carla Cardello using VeeTee rice. 1. Preheat oven to 375F. Pat the chicken thighs dry and lightly rub with fajita seasoning. 2. In a large oven-proof skillet over medium heat, heat oil. Once hot, add the chicken thighs skin side down and cook for 5 minutes or until golden brown. Flip and brown the other side for 5 minutes. If your skillet isn't large enough, you may need to do this in two batches. Add more oil if necessary. 3. Once the chicken has finished browning, transfer to a plate and keep warm. 4. Add the bell pepper and onion to the skillet. Cook until softened, about 5 minutes. Crumble the rice into the pan and stir everything together. Remove from the heat. 5. Place the chicken on top. Bake for 30-40 minutes or until the internal temperature of the chicken reaches 165F. Add cilantro before serving.